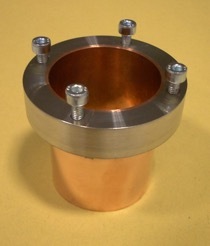 Is there another simple way of applying machinable 316 L on Copper directly? Knowledge based support on parameter selection is essential to increase the range of applications of kinetic spray technology. KSS software enables users to save time and money in selecting appropriate parameters, and understanding the mechanisms of the spray process. Kinetic Spray Solutions (KSS) is a software provider that offers a unique simulation tool for kinetic spraying applications.